Sad news as British actor Alan Rickman, known for various film roles. Although to many he will always be best known for playing German terrorist Hans Gruber in the film Die Hard. Or if you are a bit younger you may remember for playing Severus Snape in the Harry Potter series of films. Away from those two roles he played the Sheriff of Nottingham in the 1991 film Robin Hood: Prince of Thieves. That film of course starred Kevin Costner in the title role of Robin Hood. To me Alan Rickman will always be Hans Gruber from Die Hard. A truly tremendous performance in which he helps to elevate the film to another level, proving John McClane’s equal. Most recently the actor had completed work on the Tim Burton produced film Alice Through the Looking Glass, in which he provides the voice acting for Absolem, the Caterpillar. The film is currently due for release in May 2016. Alan Rickman received a BAFTA Award for Best Actor in a Supporting Role for the film Robin Hood: Prince of Thieves. He also won a Golden Globe Award for Best Actor – Miniseries or Television for his performance in the 1996 film Rasputin: Dark Servant of Destiny. Alan’s career started back in 1978 woring with several theatre groups. If this is you first time visiting Popcorn Cinema Show, please take some time and look around. 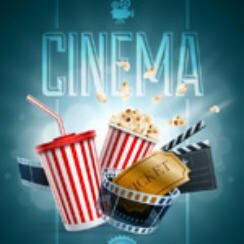 Keep up to date by bookmarking out movie releases page. Updated every Thursday with all the new movie releases, along with their trailers. Elsewhere you can test your movie knowledge with one of our weekly quizzes. If that’s not enough why not peruse one of our Recommended Movie Reviews.